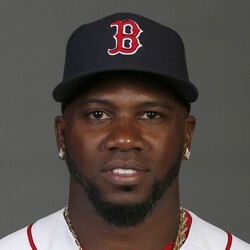 Rusney Castillo has cleared waivers and has been outrighted to Triple-A Pawtucket by the Red Sox. It was not surprising that Castillo cleared waivers considering no team would want to take on his six-year, $72.5 million contract. Castillo will go back to Pawtucket to try to get things straightened out as he has not produced this season hitting .245 with one home run over 38 games at Triple-A. If someone is holding onto him in fantasy leagues with hopes he turns things around would be better off looking in another direction.